+234-1-2551020 | 31A, Emina Crescent, Ikeja, Lagos. Lightning Networks provide cost effective and high performance Structured Cabling Infrastructure Services for Networks. 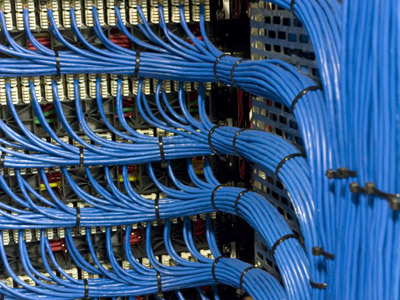 Our structured cabling system provides a platform upon which an overall information system strategy is built. We design and build flexible cabling infrastructures nationwide – structured cabling systems that support multiple voice, data, video, security and multimedia systems regardless of their manufacturer.We are a “one stop shop” for all your organization network infrastructure needs. We will help you evaluate, design and install the optimum integrated system for your company. Our Engineers painstakingly run and terminate structured Network Cables with detailed precision. In addition, they test and tag every single cable on the network. Upon successful testing, we hand over site to client for commissioning.